North Point Press, 9780865476967, 320pp. Calabria is the toe of the boot that is Italy -- a rugged peninsula where grapevines and fig and olive trees cling to the mountainsides during scorching summers. Calabria is also a seedbed of Italian-American culture; in North America, more people of Italian heritage trace their roots to Calabria than to almost any other region in Italy. Mark Rotella's Stolen Figs -- named a Best Travel Book of 2003 by Condé Nast Traveler -- is a marvelous evocation of Calabria. A grandson of Calabrese immigrants, Rotella persuades his father to visit the region for the first time in thirty years; once there, he meets Giuseppe, a postcard photographer who becomes his guide. As they travel around the region, Giuseppe initiates Rotella -- and the reader -- into its secrets: how to make a soppressata and 'nduja, and, of course, how to steal a fig without committing a crime. 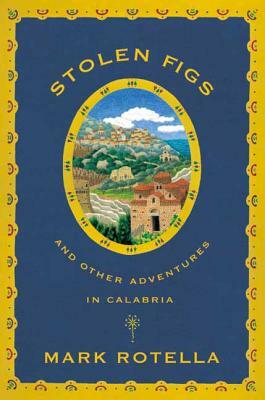 Stolen Figs is a model travelogue -- at once charming and wise, and full of an earthy and unpretentious sense of life that now, as ever, characterizes Calabria and its people. Mark Rotella is the author of Stolen Figs and Other Adventures in Calabria (NPP, 2003). A senior reviews editor at Publishers Weekly, he lives in Montclair, New Jersey, with his wife and their two children.